Do you love playing slots with 3 reels or slots with 5 reels? Chances are that you have your favorites, but both categories have significant benefits in the online casino world. Let’s find out why each type is popular in today’s iGaming industry. 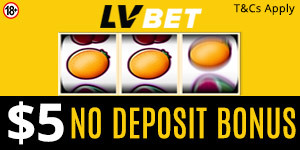 Online slots with 3 reels are popular because of their stunning fruit symbols, bar signs, and diamonds. Overall, these games are good for new gamblers because of their basic design. It’s okay to love simplicity, right? If you are interested in these slots, then you should try some of the most popular Microgaming names like Cops and Robbers, 7 Oceans, and Joker 8000. Joker 8000 – This classic game consists of 5 paylines and various symbols including cherries, crowns, and lemons. The bonus game gives you a chance to multiply your money 8000 times! Cops and Robbers – This slot consists of 1 payline and its bonus game becomes active when 3 money bags appear on the reels. The bonus round is all about running away from the police while grabbing cash. 7 Oceans – This slow-paced classic slot features 1 payline and is suitable for new slot players. You can win up to 4,000 coins! Classic slots with 3 reels feature a simplistic design, but slots with 5 reels feature several paylines. Online slots with 5 reels are the best if you love casino bonuses, special features, Free Spins, and sophisticated designs. Avalon – This Microgaming slot consists of 20 paylines and is loved by most players. Players can earn twelve Free Spins and multiply their money 7 times! EggOMatic Slot – This NetEnt slot is often played around Easter although many players play it throughout the year. It features a dispenser for holding Feature eggs. Different eggs come with different features and bonuses. You can earn Free Spins, coins, and surprise eggs. Gonzo’s Quest – Gonzo’s Quest is a popular high-variance slot by NetEnt. It features an Avalanche that causes stone symbols to fall and break down into wins. Also, you can earn Free Spins and multiply your money 15 times! Which of the two types of slots do you love playing? Feel free to share your thoughts and experiences with us. Good luck!